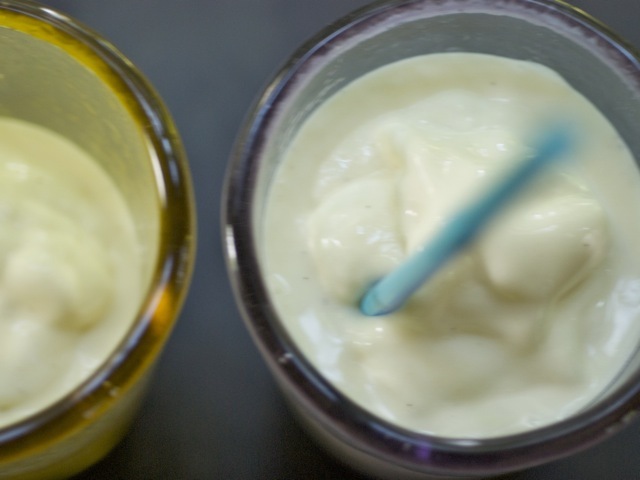 Vanilla-bean ice cream — the kind with the little black specks in it — doesn't necessarily taste any better than regular vanilla ice cream, but it looks great in milkshakes. This recipe (adapted from Thoroughly Modern Milkshakes, by Adam Ried) is sized to work with a jar blender or stick blender; feel free to double it if you're using a jar blender. Place the milk, vanilla extract, sesame oil, and honey in a blender and blend until well mixed, about 15 seconds. Add the ice cream and pulse to break up, stirring with a spatula as necessary, then blend until smooth, 30 to 90 seconds. Pour into the chilled glasses and serve immediately.